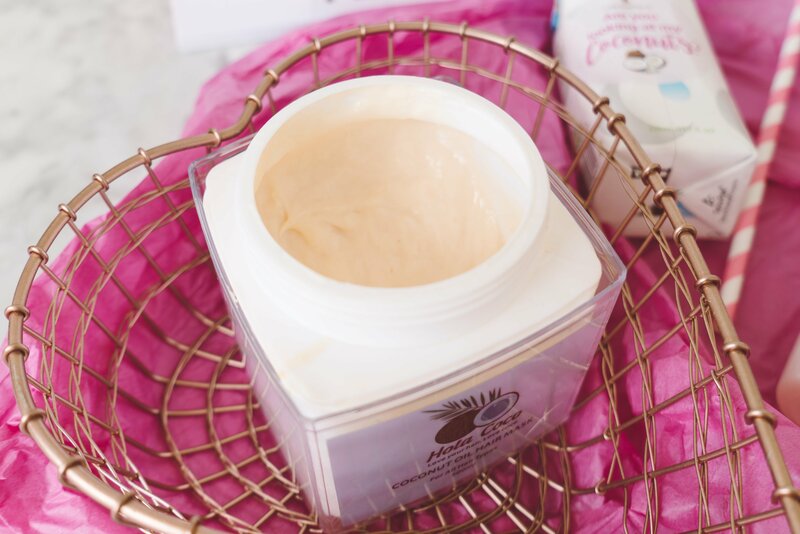 Recently I have been focusing on having healthier, stronger and shinier hair, keeping it in really great condition and using damaging heat tools far less. 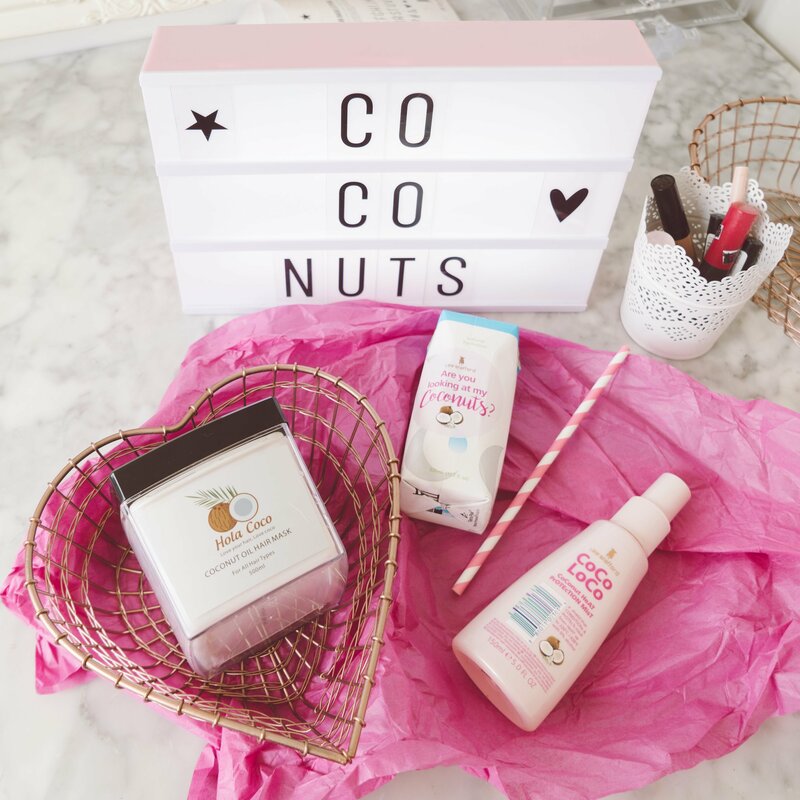 A few products I have been using are these two coconut hair treats that I have been loving – the Lee Stafford CoCo LoCo Heat Protection Spray and the Hola Coco hair mask. I love the coconut scent in hair products, it’s delicious! I have been using the Hola Coco hair mask in the bath weekly for the last three weeks, leaving it as an intensive mask for around 15 minutes each time. The coconut fragrance is strong and the coconut oil has been leaving my hair in fantastic condition. You receive a lot of product in the tub, which is great as I have a lot of hair! The packaging is a little cheap for the high price tag – semi resembles an ice cream tub – but the product is effective. The Lee Stafford CoCo LoCo Heat Protection Spray doesn’t have the coconut scent- more a coconut water fragrance. I very rarely use heat products on my hair as they are so damaging but when I do I like to use heat protection mist. The Lee Stafford CoCo LoCo Heat Protection Spray protects hair up to 220°C and has been used before hair drying. The mist is quite nourishing and contains 0% alcohol. Pretty packaging and perfect for stronger, healthier hair you can pick up the Lee Stafford CoCo LoCo Heat Protection Spray at Boots. If you are interested in more from this collection here is more from the CoCo LoCo Range. You can find more hair care and hair styling posts here.